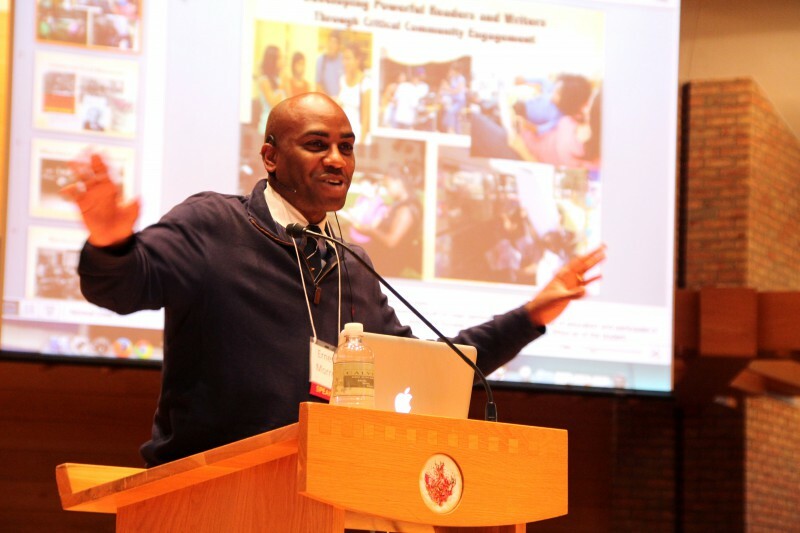 Dr. Ernest Morrell addressed the topic of developing powerful readers and writers through community engagement at the Community Literacy Summit. When literacy is a means to a powerful end- such as liberation or equity- universal literacy can be achieved. This message from Dr. Ernest Morrell of Teachers College, Columbia University was directed to over 220 teachers, advocates, non-profit employees and others at the Community Literacy Summit 2014. Dr. Morrell challenged the audience to encourage students to embrace their own identities as readers and writers for social change through a method called critical participatory action research. Using this model, students build their identities as literate individuals around their shared beliefs, passions and curiosities. "You cannot teach who you do not love," he says, advocating for a student-centered approach to teaching literacy. He suggested that asking students what they believe paves the road for solving relevant problems together, promoting powerful literate identities. If you could change the world, what's one thing you would do? If you could improve life in your school or community, what is one thing you would change? Dr. Morrell concluded the lecture with an example of a lesson he bases on the poem "Harlem" by Langston Hughes. In this lesson, he asks students to analyze the poem and to create a meaningful project that confronts the idea of the "dream deferred" in their own lives. "Harness the dream instead of throwing money at the explosion," says Dr. Morrell, and you will find the solution to literacy challenges. 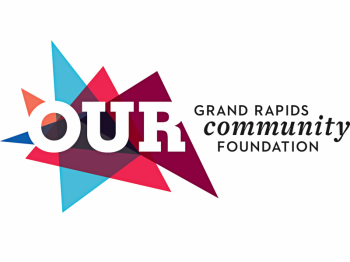 The Community Literacy Summit 2014 was held at Calvin College on September 29, 2014 by the Community Literacy Initiative of the Literacy Center of West Michigan. Ethics and Religion Talk: Is it selfish to enjoy our own resources when others are in need?